PRIVACY, LOCATION, VIEWS!!! 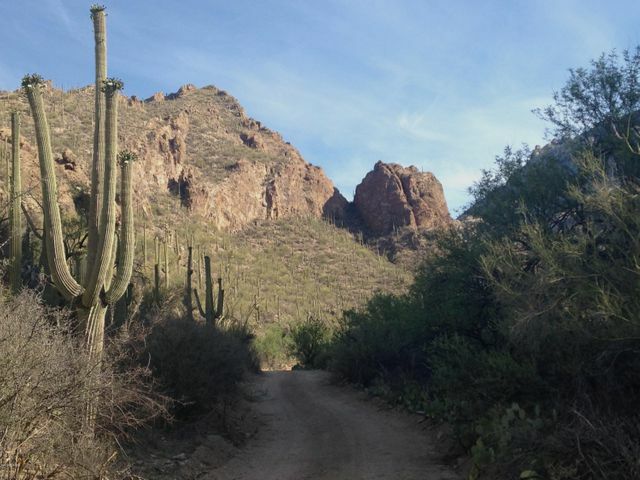 Own a 19.75 acre parcel of PRISTINE Ventana Canyon. This RARE, PRIVATE homesite is right IN the canyon, surrounded by Coronado Nat'l Forest to the North, towering cliffs to the East and West and a private overview of the city of Tucson to the South and guarded by giant saguaros and eagles. Have the opportunity to reside alongside many species of Sonoran animals. During monsoon season enjoy the beautiful Ghost waterfall and running creek! This is your opportunity to live completely OFF THE GRID if that is your desire! Build your DREAM home in this lush, natural, private setting! Owner is also offering a 5+- acre subdivided lot MLS21818720.